I was having dinner with a friend this past weekend in a trendy Palo Alto restaurant, and we were talking about Adam Smith and Karl Marx, as you do (well, you do if you’re political scientists). I looked around the room at one point and when he asked me why, I told him I was looking for somewhere wearing an Apple Watch. I figured I was in was a highly likely place to see one. Sadly, I didn’t, but I couldn’t see every diner’s wrist, so I retain hope that the Watch was there, lurking, out of my view. I wonder if we’ve reached Peak Commodity Fetishism with the Apple Watch. I hope so, because it would be depressing to think we could go further. Commodity fetishism is a term coined by Marx to describe the condition in which objects are valued for something other than what they are used for and the labor that inheres in their production. The first paragraph of this overview is a good, succinct summary of the concept. Many people are aware that Apple makes most of its vast profits on its hardware (although I would argue that its software is increasingly important, even if indirectly, because of the way it ties people into its ecosystem and the way each software/app purchase fuels other purchases). But unlike many other makers of things, Apple’s things are esteemed not just for the usefulness of the products and their ease of use, but also for the way they look. Design is enormously important to Apple because its customers value it so highly. One might argue that Steve Jobs valued design for its own sake, but at this point it can’t be disentangled from Apple’s marketing strategy. I’m not interesting in arguing about whether Apple products are easier to use than their competitors. I’ve used a wide variety of platforms for years and found that each has its advantages and drawbacks. If you prefer Mac OS over Windows, or iOS over Android (or vice versa), good for you. This post isn’t about that. This is about the way in which the use value of a product becomes decoupled, or becomes only a part of, the overall value of a product. And it’s also about the way in which the labor required to make the product, and the conditions under which that labor is provided, are decoupled from the product in the mind of the consumer. When you turn on a Windows machine you probably don’t think about Bill Gates or Paul Allen, and when you power up an Android phone or a Nexus tablet you probably don’t think about Sergei Brin or even Eric Schmidt. But conversations about Apple products, especially new products, almost invariably used to include references to Steve Jobs, and his design heir, who is namechecked even more since Jobs’ death, is Jony Ive. What most people don’t think about when they identify Apple design with Ive is that the actual products (and many parts of the overall design) are created and manufactured by an army of Apple employees, not to mention their contractors. Other designers, engineers, testers, assembly-line workers, marketers, retail salespeople: all of these individuals are integral parts of the Apple corporation. But by attributing the product to a single designer, Apple and those who celebrate their products unconsciously work to close the gap capitalism creates between the laborer and the consumer: Jony = the Watch. Not Apple the extremely profitable company (and its contractors), but a single, highly gifted artist. 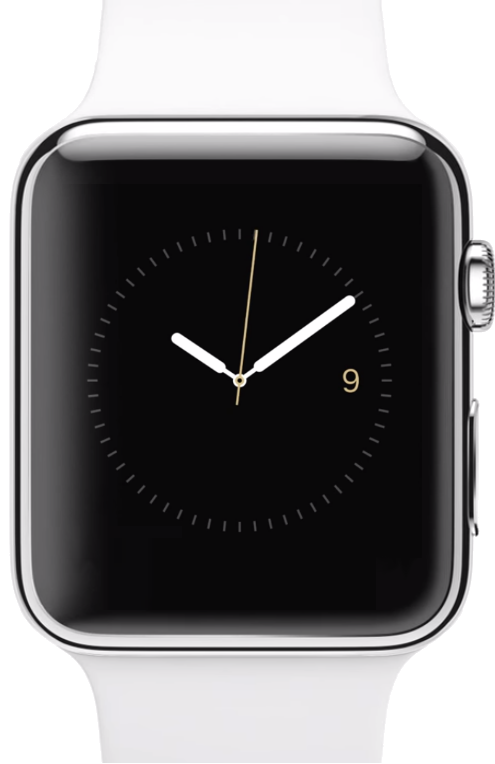 I’m not arguing that there is no use value to the Apple Watch. There are clearly people for whom having a wrist-based notification system is handy. But I doubt very much that most people buying the Watch right now have a pre-existing, unfulfilled need for what it provides. They’re buying it because it’s beautiful and because it’s a new Apple product. They’re buying it in its capacity as a totem of technology. People have a right to spend their money on whatever they want. But I wish they would acknowledge a concomitant responsibility, as consumers and as citizens, to understand the ramifications of those choices. Treating products as totems makes the labor conditions of their production more difficult to see and makes it harder to evaluate the true use value of the product. 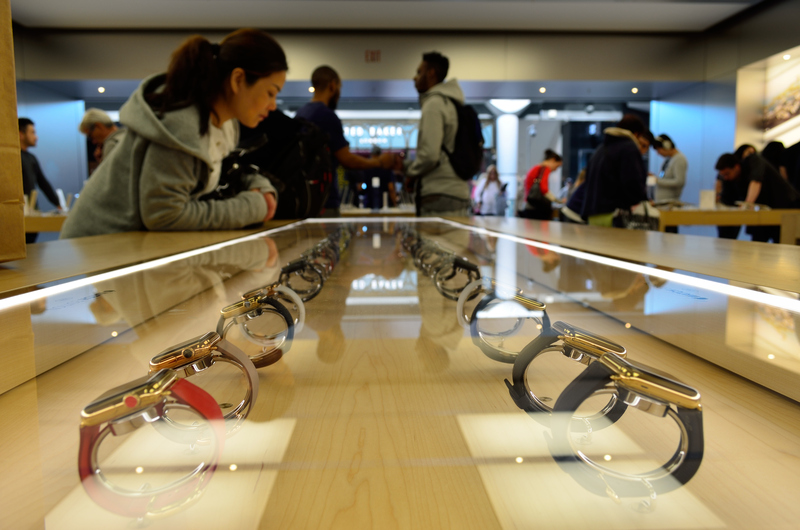 When you’re gazing at an elegant display of Apple Watches in a pristine showroom, you’re not thinking about whether you need it, let alone how its rare earth metals were mined or the conditions of its contractors’ shop floors. You’re just thinking about how gorgeous it would look on your wrist. Apple is only one of many tech companies (and “sharing economy” service firms) that has made buying or using the next new thing feel more like a necessity than a luxury, or made people believe that the new product or service will improve their life in critical ways. Apple is also by far the best at it. We have moved so throughly from a repair-the-tech to a replace-the tech world that it’s almost impossible to find people to repair any kind of mechanical product anymore. There’s no money in it. Capitalism is really good at getting us to buy things not just because they will be useful, but because we want them. And it does that by making the total cost invisible. Fetishizing products is an integral part of this process. Photos from this Wikipedia post. Apple is obviously the best example of this but my suspicion is that the same thing is happening in almost all areas. For instance, in the sewing world, there is enormous cachet attached to having a Bernina machine. They are good machines. I do not believe they are sufficiently better (if at all better) machines to justify the extra they cost. But Bernina fangirls are so committed to the fetishization of the Bernina machines that they will constantly and unthinkingly repeat the mantra of Bernina is better. Apologies if you or any of your readers are Bernina owners! Random fact of the day: Jony Ive comes from my home town. He is probably our most famous resident since Richard Sheridan. That’s a really great point. I think that because so much of our lives today are organized around consumption activities, they become a way of identifying ourselves and ranking ourselves and each other according to various metrics. Because I pay attention to tech stuff I notice it more there, especially because I’m interested in data protection. But if I stop and think about knitting, the way certain yarns and needles sweep through the community, becoming hot and then not, is definitely analogous. Funnily enough, the sewing machine I used through high school and kept with me through a couple of decades of moves was a Bernina. It was definitely a good machine, but if it was fetishized back then, I missed it. Of course we didn’t have the internet then to explain these things to us! Yes, it obviously was a phenomenon in previous generations. I do think, though, that the wealthier society as a whole becomes, with increasing amounts of disposable income, the more likely it is to happen. And, as you say. the internet probably makes a difference too. The entire haut couture fashion industry depends on fetishizing. Exclusivity and brand recognition/identification gives owners/wearers cachet. To me, Steve Jobs modeled the first iPod and subsequent devices on this phenomenon and rode its coattails to stardom. Asking someone to pay $400 for a phone? Unheard of till Steve Jobs made you do it. There’s nothing inherently so complex, expensive, or that fabulous in the Apple technology. Jobs simply created the niche of pride of ownership and showing off of it and people bought into that, not into the technology for technology’s sake (though of course there are exceptions, but I’m talking about the general case). As you say above, social media has made the fetishizing problem more acute. Online buzz…the bane of wallets. I think you mean pret-a-porter? Because true haute couture, i.e., pieces that are made as one-offs or two or three at most, are made in ateliers and very few fashion houses have those anymore. The pieces are closer to art than anything else. I agree couture fashion of that type can be fetishized, but the connection between the designer, the skilled artisans who make the products in the ateliers, and the buyer/wearer is closer than is the case with pret-a-porter goods, even for high-priced examples of the latter. That’s an interesting comparison, because Apple’s profit margins on the iPhones are still considerably higher than the profit margins on, say a Louis Vuitton handbag, by a factor of 1.5 to 2. And the labor costs are a tiny fraction of the overall production cost of the phone. The iPhone 6 labor cost was estimated to be $4-$4.50 of the retail (non-subsidized) price of $650-$850. Needless to say, the labor costs of making designer fashions and handbags in Western Europe are considerably higher per piece. We’re used to describing things like Chanel and Vuitton products as positional goods, where the high price is accepted as a signal of quality/status, and higher prices can actually boost demand for them. Apple’s products seem to share that quality. People don’t balk at the price, because they think they are paying for quality. Which they are, to some extent, but mostly they’re paying a huge markup for status. Yes, I did mean prêt-à-porter since those are the more easily accessible goods of the labels. And yes, my comparison of fashion and Apple was to talk to creating the “status” niche using similar positional tactics of the iProducts. Thanks! Then yes, we absolutely are on the same page. I think that in Apple’s earlier decades, the smaller production runs probably did mean higher costs. But not any more. I think the reason I find this so … infuriating? depressing? I’m not sure what the right word is … is because technology should be about utility. When we make an item, like a mobile phone, a positional good, it makes it more likely that people will spend more money than they need to on a necessity, just because of the peer-pressure/status aspects. It disturbs me when necessities are given the valence of luxuries, and vice versa, especially in today’s world of increasingly inequality. Thanks for the conversation, Keira. But that’s also true of fashion. What could be more necessary than clothes (well, okay, food)? And yet high fashion has made that necessity into a luxury product. We’re almost all conditioned to think of clothes as disposable luxuries reflecting our style preferences rather than functional items chosen primarily for warmth/coverage. I do agree with you about true couture, though. The handwork involved in making that kind of garment is what demands the high pricetags and I am all about paying the skilled artisan appropriately for their work in creating uniquely beautiful objects. @Ros: Well, I guess a disagree a bit. Fashion has been a means of expression for humans for many, many years, and you can express yourself with inexpensive materials as effectively as with luxury goods. I agree, though, that disposable fashion, which has really taken off in the last few decades, is a growing problem. But I think that ties into the whole consumption-as-entertainment shift rather than fashion, per se. There is definitely a difference between buying a necessary piece of clothing and in the process choosing something that appeals to you, and going on a shopping trip because you’re bored and buying things you don’t need because they’re so inexpensive. I missed reading this or read it and meant to come back and comment. Excellent points and I agree. I didn’t buy The Watch because functionality wise it seems lacking. I love the idea of where it’s going and could use this kind of thing at work. More recently, my employer, or rather, my new supervisor has banned cell phones in my work area so wearing my smartwatch is now moot. I still wear it at home. With all the different tasks I’m expected to do everyday, it was useful and I’m sorely gonna miss it. I can see how a smartwatch would be really useful in a situation where you can’t always be pulling your phone out (or don’t have your hands free to do it). And for your needs, it seems as if the ability to un-tether from the phone at least temporarily, or allow the phone to be further away, would be important (and I think there are moves in that direction for the future).